Dimensions 4.5" H x 1.75" Base diam. 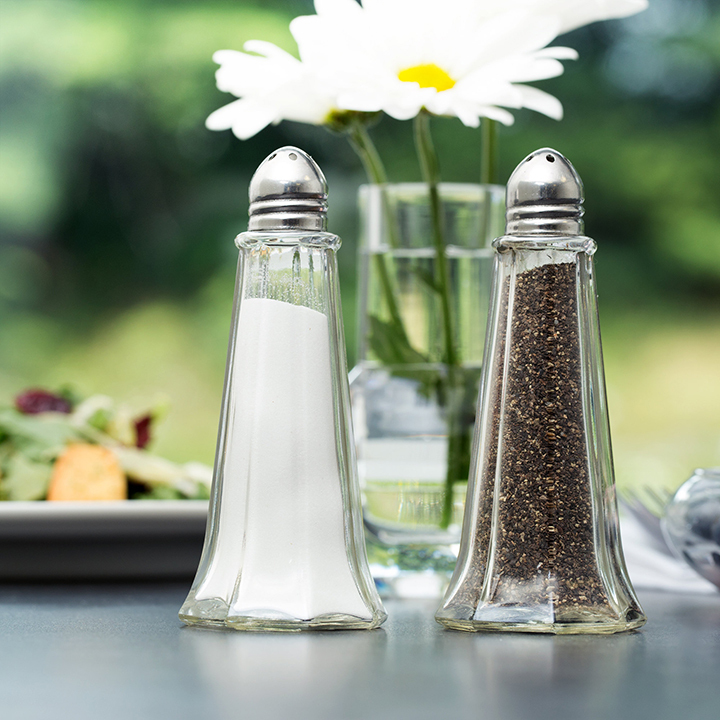 Every elegant event requires a beautiful set of salt and pepper shakers at each table. These units have a clear design with chrome-plated tops. The tall and tapered shape is classic and works well for all types of celebrations. When the levels become low, simply unscrew the tops and fill them without hesitation.